It becomes crucial for you to choose an ideal toothbrush during orthodontic treatment such as braces. 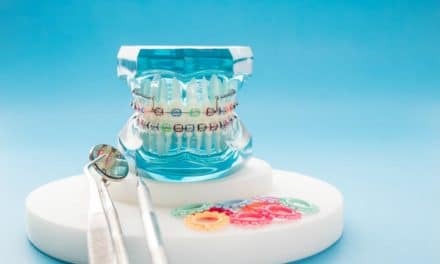 There are so many intermediate parts in braces, such as brackets, archwires, bands, bonding material, etc., which can make teeth cleaning a problematic process. A toothbrush which is not good enough can lead to incredible results like awful looking food debris stuck around brackets, increase chances of plaque, calculus accumulation along with caries (cavities) and gum diseases like gingivitis. You have an option to choose between manual and electronic toothbrush. But still, there are certain features which are common between these two choices. These features are the design of toothbrush, efficiency, biocompatibility, ADA seal, etc. An efficient toothbrush can make teeth cleaning process trouble-free. So, let’s help you in choosing a toothbrush for braces. Which is better toothbrush for braces – Manual or Powered? The preference may be because powered toothbrushes offer multiple features over a manual toothbrush. Their features, like design, pressure sensing technology, and timer, make them extraordinary. Powered toothbrushes come in two types as rechargeable and battery powered toothbrushes. Out of these two, rechargeable toothbrushes are better as they have tremendously attractive features like pressor sensor, timer, different cleaning modes, etc. Also, these toothbrushes do almost all cleaning work on their own. You have to move them around your teeth. As far as cleaning is concerned, battery-powered brushes are also equally successful and are more economical than rechargeable toothbrushes. 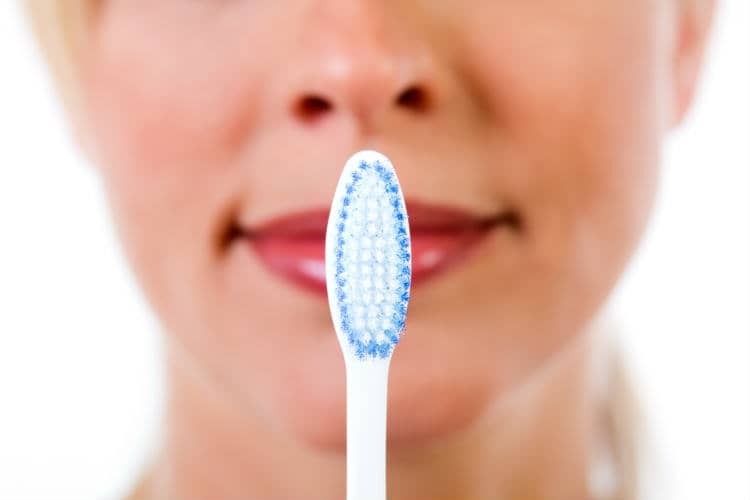 A toothbrush with ultrasoft bristles made of nylon should be preferred. The American Dental Hygienists’ Association (ADHA) shows that round end bristles are soft on oral tissues. Ultra-soft bristles with round ends are flexible and gentle on gums (gingiva). Also, while cleaning slightly below the gum line, they do not abrade it. Crisscross angle design of the bristles does play a role in efficient plaque removal because it gets access to every spot in the dentition. A toothbrush should have a small head and wide handle for a firm grasp. In your day to day life, the last thing that you would expect is to struggle with a brush. So, a toothbrush should be an easy one to grasp (even for physically or mentally challenged people) and control with each brushing stroke. When different brackets bands and wires are attached to your teeth, chances of building and retention of plaque increases. Bacteria in your mouth can get attach to many things and initiate plaque and calculus formation. A toothbrush should work effectively and efficiently between your teeth, braces, and gumline. It should reach every spot in your mouth which are hard to access. During orthodontic treatment, an orthodontist applies controlled and calculated forces to move your teeth in a desirable position. Therefore, a powered toothbrush should not put extra energy and force. A perfect toothbrush should be tissue friendly since gums and mucosa in your mouth are as crucial as your teeth are. It should not irritate oral membranes. ADA seal is the hallmark of the safety and efficacy of the toothbrush in removing plaque and reducing gingivitis. To earn the Seal, the products’ manufacturers have to pass ADA Laboratory tests and meet ADA dental standard. It’s a well-known fact that many bacteria harbor themselves on the surface of the tongue which ultimately becomes a reason of the malodor from the mouth. So, a toothbrush with tongue scraper ensures complete mouth cleansing and oral care. A perfect toothbrush should be long-lasting. The quality of bristles and handle should be excellent. Also, the bristles should be resistant to early deformation. A perfect toothbrush should know how long to brush to get rid of complete biofilm or plaque. In short, it should have an inbuilt timer. Also, there should be a timer through which it can sense if you are putting extra force on teeth or not. If a toothbrush can tell which part of your dentition is cleaned to what extent, then it would be a perfect choice. These days, we have toothbrushes which can sync with mobile phones too. Just imagine, after you brush, your toothbrush will give you the digital picture of your whole dentition on your mobile phone, telling you which part is still left to be thoroughly cleaned. It is not just the toothbrush that matters. How often you brush, how long you should brush, brushing technique, etc. are equally important. 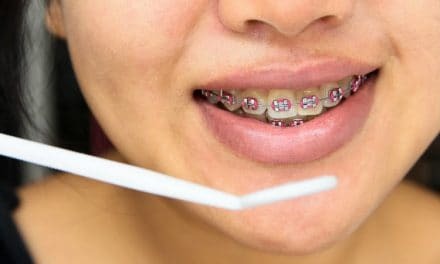 Always supervise kids who have just got braces so that they brush correctly. ADA recommends that toothbrush should be replaced every 3-4 months. Do not get panic if you are using electric toothbrushes as they come with replaceable heads. Invest your time and thoughts in choosing a right toothbrush and go confidently with braces. Braces can create discomfort on their own. Also, both manual and electronic toothbrush is good for braces. A hassle-free daily tooth cleaning, which is less irritating, is essential. You will not feel self-conscious with braces if you have a toothbrush that takes good care of your oral hygiene.